June 2018: release of "Sherwood Avenue"
With the release of Sherwood Avenue, the band presents its 5th release, As always, Dirk Lekenne and Luk de Graaff started working on own material in between other productions: roots songs alternated with instrumentals. A trip to Virginia (US) inspired most of the songs: the experiences, the stories, the anecdotes and the atmosphere have largely determined the sound of the album. With the contribution of Rik Volkaerts (drums and percussion), Wim Degeest (blues harp), Stoy Stoffelen (drums), Pieter Akkermans and Willem Wynants (keys and organ), Sugar Queen and Hedwig Peetermans (backing vocals), Sherwood Avenue is a roots americana album in its own right. “Deze “Kerkom Texas” is een album dat als een weldoordacht geheel naar buiten wordt gebracht, al is dit niet zo vreemd, want ook op het podium staan deze Fandango Live meer dan hun mannetje. Kwaliteit alom, alsof het lijkt dat ze een tijdje in Texas zijn gaan wonen, en voor mezelf weet ik nu dat Texas niet zo veraf ligt.” (Rootsville, oktober 2015). Fandango Live is composed of die-hard musicians with very different backgrounds, adding up to a universe of experience at the service of the studio or live performances. At the heart of this band: Dirk Lekenne, Luk De Graaff, Pieter Akkermans, Walter Mets and Tim Van Passel. 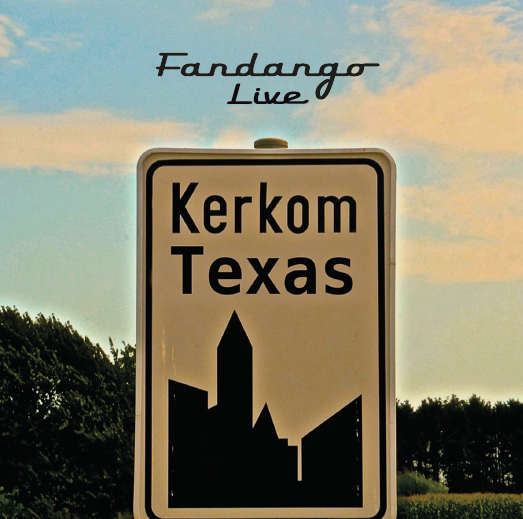 The fourth album of Fandango Live is called Kerkom – Texas for multiple reasons. 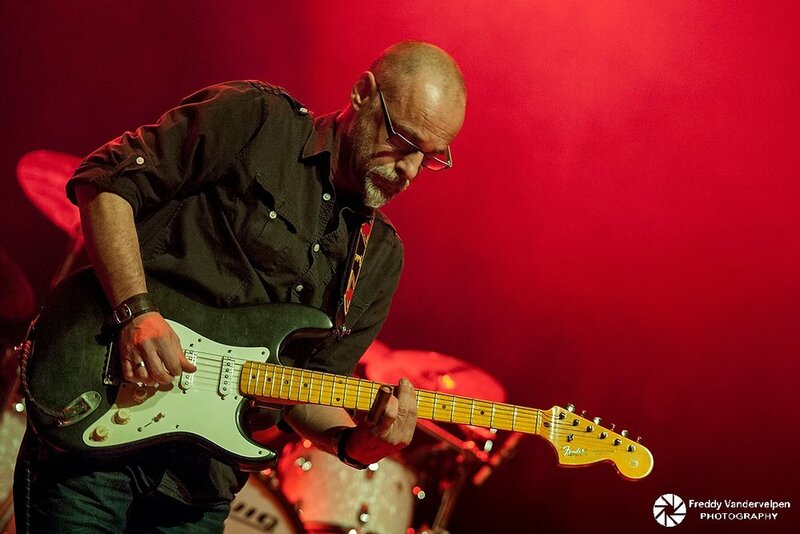 Dirk (Lekenne) has an immense admiration for Ry Cooder, not just for his incredible talent, but also for his personality. Ry Cooder is a musician who never limits himself by any boundaries and does his thing in so many different music styles. With their previous albums, Luk (de Graaff) and Dirk have proven that Fandango Live is not afraid of mixing up styles. Kerkom – Texas is the newest confirmation. The album also contains two JJ Cale covers, Magnolia and Humdinger, which the band also brings during live gigs. The no-nonsense of JJ Cale and his tulsa sound have always been a source of inspiration and respect for Dirk and Luk, and are honored in this new album. 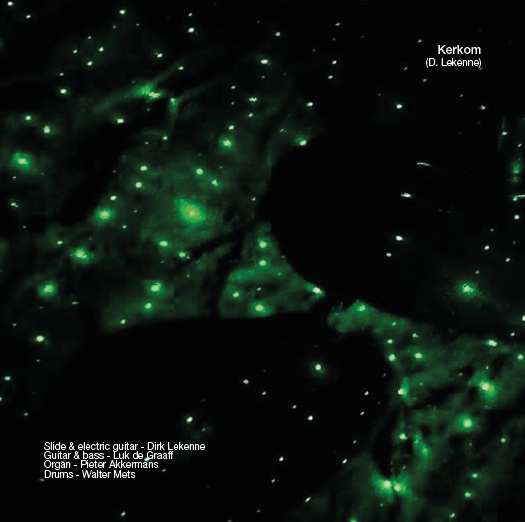 Kerkom – Texas is a roots-americana album, it is a tribute to two great men. And it is a tribute to the place where everything starts for Fandango Live. April 2015 - Fandango Music presents “HOMEWARD BOUND” by Fandango Live feat. Paul Michiels. The newest single of Fandango Live is the outcome of a spontaneous session between Paul Michiels and Dirk Lekenne. The song sets the atmosphere of uncertain times and of the desire for everything to work out: the warmth and happiness of returning home, ‘on solid ground’, of being together, let the party begin - ‘by the silvery moon we’ll be holding tight’. Paul Michiels (vocals, organ, bluesharp). Dirk Lekenne (slide and acoustic guitar). Luk de Graaff (bass). Walter Mets (drums). Pieter Akkermans (piano). Andries Boone (violin, mandolin). Bart Van Huyck (electric guitar). Composition by Paul Michiels and Dirk Lekenne. Lyrics by Paul Michiels. Recording & production by Dirk Lekenne. The newest release “Hands” is a collection of rootsy music, varying from blues, rock and pop to world music. The band clearly has no problem whatsoever to mix styles. 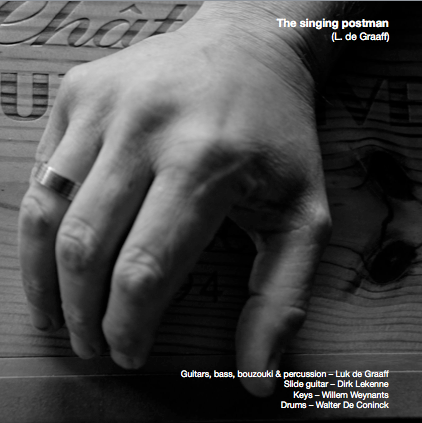 The 12 songs have again been written by Luk de Graaff and Dirk Lekenne. The title “HANDS” is a prolongation of what both musicians represent and want to share: the honesty and sincerity of their music. 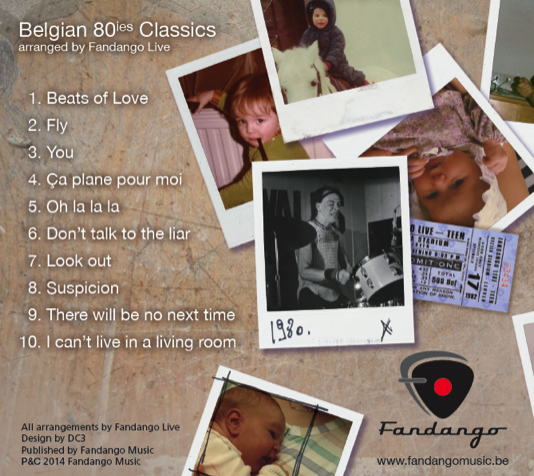 January 2014: Fandango Live releases "Teen"
"Teen" demonstrates the arrangement skills of the Dirk Lekenne & Luk de Graaff, with rootsy interpretations of (10) Belgian hits from the 80ies, each brought by another singer. 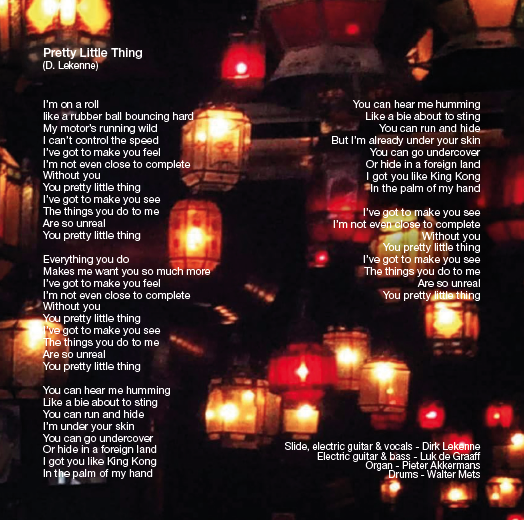 Fall 2013: Fandango Live releases "Something Else"
"Something Else" is the showcase CD of Studio Fandango. It demonstrates both the creative talent of the musicians and the quality of the studio and its producer. The CD brings something else: instrumental film music in combination with what we like to call bluesy roots. All albums are available through Studio Fandango, via iTunes and all other digital stores.